Course Description: Basic estate planning is one of those essential tasks that get overlooked. 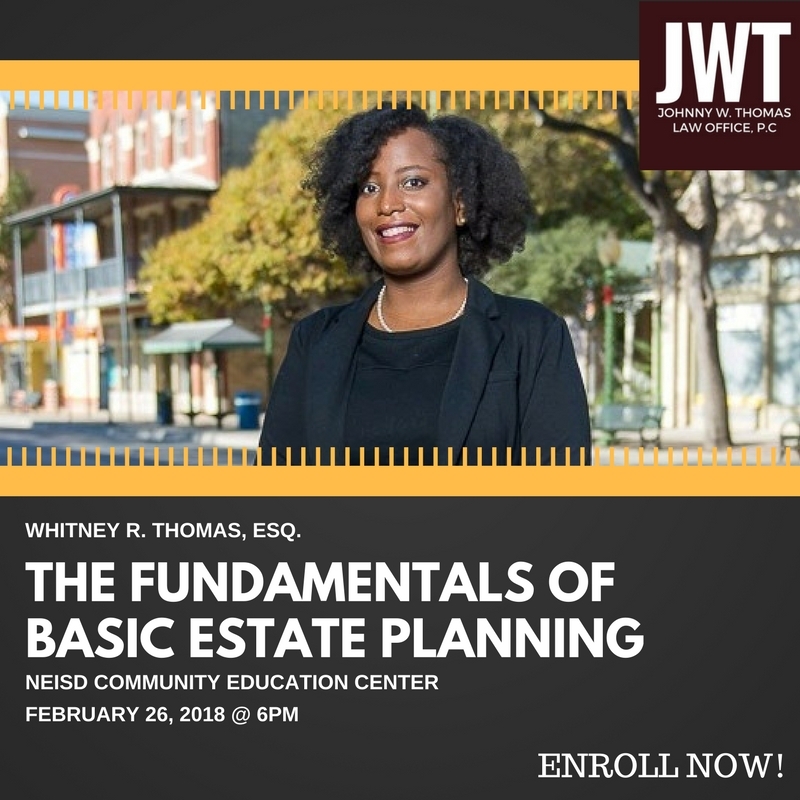 During this class, Attorney Whitney Thomas will teach you about the significance of proper estate planning and what documents are needed to handle your estate matters in the event of death or incapacity. Furthermore, you will leave with the knowledge of the various Texas laws for probate proceedings and alternatives to probate. It’s never too late to get started. Visit the NEISD Community Education page by clicking here. Click on “Money Matters” on the right hand side of the screen. Follow the instructions for enrollment.